Each member club of the National Federation holds a monthly meeting and develops various activity programs of its own. Also, a common national theme is set each year by the National Federation and the national congress is held once a year. 1988-89 Why not a women? 1971 Why is it difficult for women to obtain managerial posts? What is required to crack the barrier? BPW Japan co-sponsored the International Women's Year Conference of Japan in which 41 organizations participated. At the Conference, they submitted the resolutions inclusive of demands to the relevant governmental agencies according to the Action Plan adopted at the Mexico World Women's Congress. After the Conference, those participant-organizations and BPW Japan delivered the International Women's Year Liaison Group (IWYLG) which is now evaluated as one of the most influential women organizations to the government. BPW Japan has been a member organization of National Women's Committee of the UN NGOs. The activities of this committee are to recommend women delegates for the UN General Meeting to Japanese government and to promote international friendship and understanding through some exchange programs. BPW Japan founded the Best Men's Prize as a commemoration of the UN's Decade for Women, in order to praise men who served for peace, equality and development. Between 1985 and 2002, "the Best Men" were chosen at the national congress. 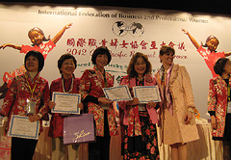 BPW Japan welcomed international BPW friends as the host country for the 21st Congress of BPW, which was held at Nagoya. BPW Japan founded the Partnership Evaluation Prize in order to evaluate what the local government did for women from the standpoint of NGO. Since then, at the national congress, the host club nominates the best fruitful local government for women among their region. BPW Japan held the East Asia Sub-regional Meeting of BPW in Tokyo. The theme of this meeting was Empowering Young Working Women in 21st Century: Education in Science and Environment. 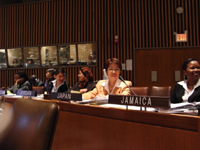 BPW Japan started sending young women selected from the public to the United Nations Commission on the Status of Women (UN-CSW), which is annually held in New York. Nobuko Kurosaki, then president of BPW Japan, was appointed as a delegate for the UN General Meeting to Japanese government. Club Tokyo and Club Seoul in Korea signed up for the twinning relationship. The first Meeting was held in Tokyo in October 31, 2009. Club Nagasaki and Club Incheon in Korea signed up for the twinning relationship. Club Osaka and Club Taoyuan (Taiwan), and Club Kyoto and Club Taipei (Taiwan) signed up for the twinning relationship at the Asia Pacific Regional Conference in Taipei. As one of BPW's projects for realization of gender-equal society, about 500 people got together to the Relay Symposium on Work-life balances held by BPW Japan in Hokkaido, Tokyo, and Wakayama. The Symposium were supported by the Gender Equality Bureau, Cabinet Office. 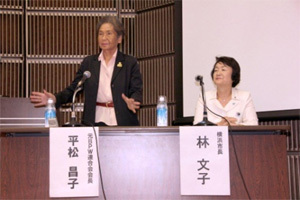 To promote the JWLI project, BPW Japan held the JWLI Forums in June 2010 in Tokyo and Fukuoka. [see the report] About 230 people joined the events. The panel discussion organized by BPW Japan was a great success, having the President of BPW International, Elizabeth Benham, as a coordinator, who played a valuable role to make the discussion efficient, clear, and fruitful. BPW Japan is also in charge of two other parallel events of APEC WLN Meeting in Yokohama and Sendai. 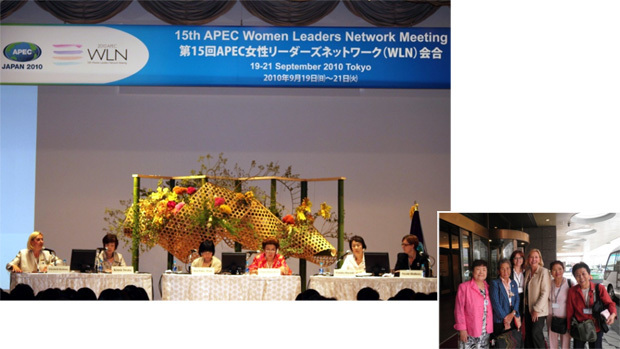 BPW Japan contributed to draft the Recommendation of APEC WLN Meeting. The Recommendation was submitted to the APEC Leaders and Ministerial meetings. They welcomed the recommendations from the 15th APEC WLN Meeting in their official statement. Copyright (C) BPW Japan All Rights Reserved.